Ragnarok: Heroes of Midgard - Save Midgard from the treacherous Loki! Collect undefeatable army and take part in the main battle of Ragnarok with thousands of other players! Embrace the atmosphere of incredible battles where Thor and other Aesir fought with Loki, giants and dragons! Explore the worlds of Ragnarok, fight with its inhabitants and subordinate them to your army. Strengthens his squad, collecting new rare and legendary cards! But even the most powerful cards do not guarantee you success in battle, in the first place a hero - is a strategist! Form teams so that your cards gain an additional bonus from synergy and additional skills. - Strengthen your cards to get the maximum power! Are you ready for the greatest battle in the history of the universe? Only Ragnarok will show it! But know, not everyone is able to become a hero, but if you afford? 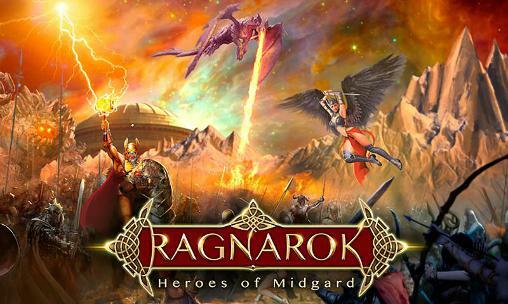 Ragnarok: Heroes of Midgard: install APK and play the game.